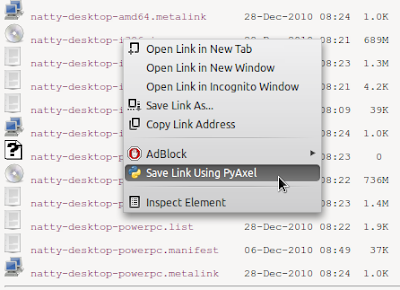 PyAxelWS Download Accelerator Extension for Chromium now allows users to accelerate downloads by using a simple python script PyAxelWS and HTML5 Web Sockets. PyAxelWS is an extended version of original python script Pyaxel that allows users to download files from terminal. Accelerated downloads: Files are divided into pieces and each piece is downloaded via a separate HTTP connection. 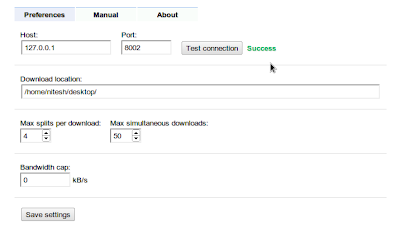 This can significantly increase download speed if the server throttles individual connections. Persistent reconnection: If connections time out, they are retried repeatedly until that piece of the file is completely downloaded. Resumable downloads: Downloads can be stopped and resumed at a later time. Download speed limiting: The bandwidth taken up by the program can be limited so that it does not swallow up all your available bandwidth. 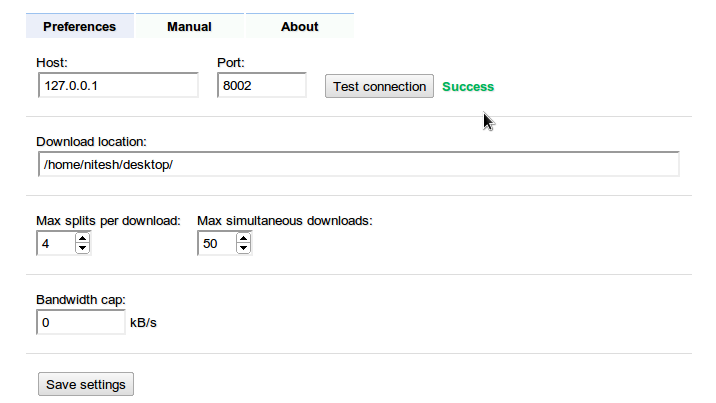 Download progress indication: Indicates the progress of each connection and provides estimates of the time remaining to complete the download. Extract the archive anywhere you like. Enter a download location and set other features as shown in above screenshot. All done. Now just right click a link and click on Save Link Using PyAxel and your download will start. A terminal need not be open every time to execute scripts. We can use a program called dtach, so that the scripts start running in background every time we login. Thats it. Now PyAxelWS will start every time you login. Lastly, some IMPORTANT POINTS you should keep in mind. 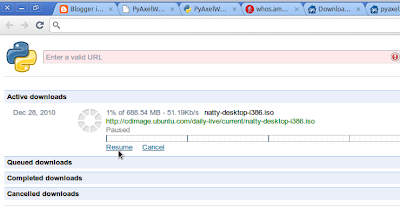 DO NOT close Chromium/Chrome browser window because it will cancel all your downloads and any progress made so far. 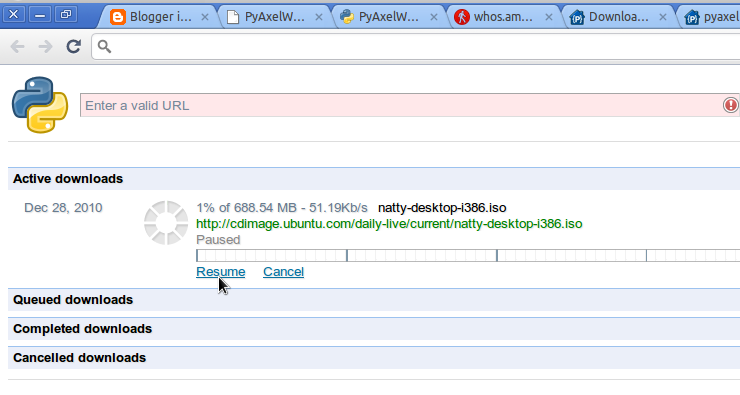 Unlike the default download manager in Chromium, PyAxelWS WILL NOT WARN when you close the browser. 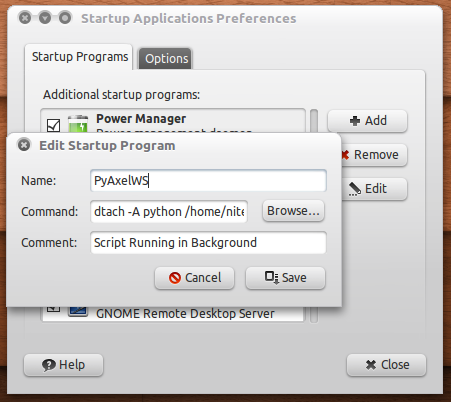 Though this tutorial is for Linux, this should work for any platform having python 2x installed. But I have tested it on Linux only.